Hours: 9:15 am – 12:15 pm on Monday through Thursday at the main campus. Days and times vary at other locations throughout Lake County. Cost: There is a $25 testing fee for new students. Tuition is $30 plus a $20 registration fee. Mission: The mission of Adult General Education is to provide both basic and 21st century skills training that connects each student to his or her career path of success. To view the Master Plans of Instruction for the GED®, AAAE, ABE, or ESOL programs, visit the Adult Education General Information page. Those who score over a 9.0 on the TABE test on Reading, Math AND Language. Those who score under a 9.0 will be enrolled in ABE (Adult Basic Education) classes to build the skills for achievement and success. 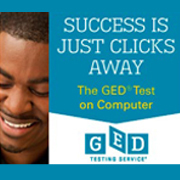 For more information about GED testing for adults, click here. 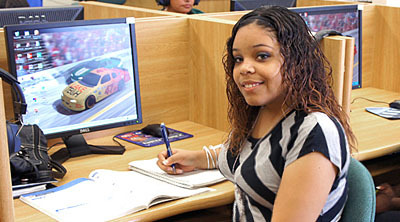 For more information about GED testing for minors, click here.